In today’s fast-paced hospitality industry, your customers demand a completely seamless experience. So how do you keep up with their increasing expectations? The right hospitality payment strategy can help you drive omni-channel and cross-border strategies, giving you the competitive edge. Learn why leading boutique, national and international hospitality brands rely on Ingenico to drive business growth. With Millennials redefining the hospitality industry, their demands can’t be ignored. That means fast, frictionless service, anytime-anywhere transactions and their preferred payment method at every touch point. That’s why Ingenico’s omni-channel payment solutions are designed to enable you to deliver the seamless customer journey you need to meet Millennial expectations and stand out in an increasingly competitive market. Your brand reputation matters; that’s why cutting-edge security features are integral to all of Ingenico’s hospitality payment solutions. It’s also why we design our payment systems to go beyond the minimum standards required for PCI certification, keeping you ahead of the legislative requirements. In fact, we offer safe, secure multi-currency payment options whatever the sales channel. And because we process more than 3.4 billion transactions every year, you can be confident we know what it takes to keep your data secure. Reduce the complexities of cross-border payments. Our online cross-border collect solution works in tandem with leading global distribution systems, such as Sabre, so no matter how far and wide your portfolio stretches our payment gateways can bridge the gap. What’s more, our global hotel payment solution also enables guests to pay in their native currency, no matter which country they come from. This in turn increases trust, loyalty and repeat business. Predictive analytics is central to revenue management. That’s why our hospitality payment solutions enable you to capture customer data securely, ready for analysis. Back of house, our payment solution dashboard provides benchmarking and predictive modelling for payment performance optimization. Easy integration with loyalty programmes empowers you to improve your customer relationship management, as you build out a comprehensive picture of your guests and how they like to pay. Remain customer-centric: With mPOS solutions from Ingenico you can take payment to your guest, whether they’re lounging by the pool or sipping drinks in the bar. It’s fast and efficient for you and hassle-free for your guest. 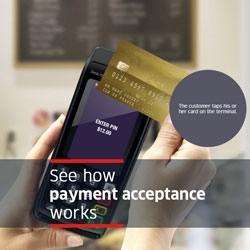 Keep connected: Integrated solutions from Ingenico mean that you can assimilate your payment solution with your PMS, CRS and GDS, maximising operational efficiencies and streamlining the guest experience. Keep continuity: Be prepared to accept all preferred electronic payment methods, from traditional cards to EMV, NFC and digital wallets. Manage your international payments through one single source for easy financial reconciliation and foreign exchange conversion. Keep compliant: Stay PCI compliant – keep your client data secure with cross-channel tokenisation. Reduce chargebacks and operational costs with fraud management tools. 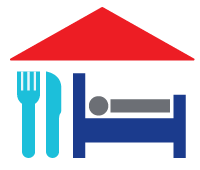 From boutique independent hotels to large, international restaurant chains, we have the payment system for your operation. Contact us today to discover how we can streamline your payment processes. We are committed to providing the best possible experience for our guests across all points of contact, and the payment process is an important part of that experience. With GlobalCollect, we offer a seamless payment experience, no matter where our guests come from or what method and currency they prefer to pay with.